Trend alert! 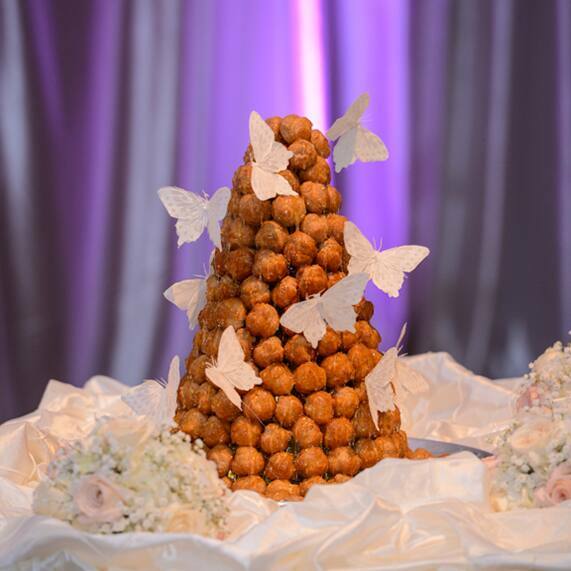 A traditional French delight served at weddings and baptisms, croquembouche has started to take the U.S. wedding scene by storm. (In fact, The Knot's Art Director Meghan Corrigan recently had one at her wedding!) 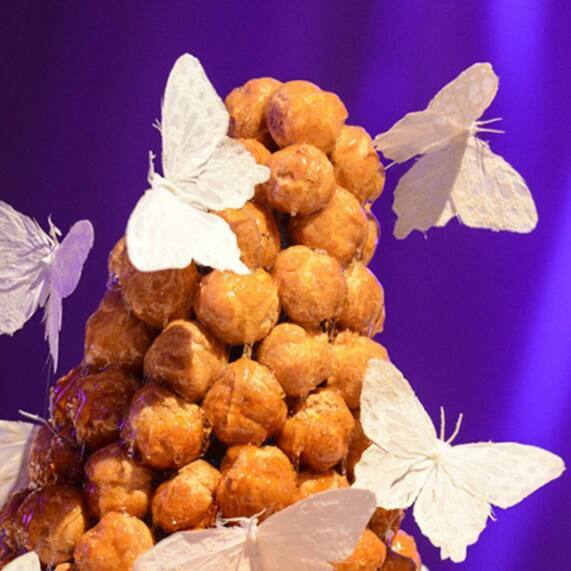 Croquembouche is made by piling choux pastry balls into a cone that's then drizzled with sweet and salty caramel. It's a great alternative (or addition) to a traditional wedding cake and a treat your guests will definitely want to save room for.